Gain hands-on experience with SPARQL, the RDF query language that’s bringing new possibilities to semantic web, linked data, and big data projects. 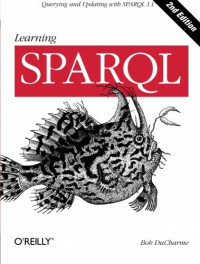 This updated and expanded edition shows you how to use SPARQL 1.1 with a variety of tools to retrieve, manipulate, and federate data from the public web as well as from private sources. Author Bob DuCharme has you writing simple queries right away before providing background on how SPARQL fits into RDF technologies. Using short examples that you can run yourself with open source software, you’ll learn how to update, add to, and delete data in RDF datasets. Pro XAML with C#: Application Development Strategies is your guide to real-world development practices on Microsoft’s XAML-based platforms, with examples in WPF, Windows 8.1, and Windows Phone 8.1. Learn how to properly plan and architect an application on one or more of these platforms for a robust, scalable solution.